Clydesdales are large, strong horses. Their characteristic features include their slightly curved noses, their long ears and their short necks. They have a friendly temperament and are industrious and versatile. Shoeing a Clydesdale can be very hard work for a farrier. Their horseshoes are not just extremely large, but also weigh over 2.5 kg. This means they weigh four to five times as much as the shoes of warmbloods or thoroughbreds. 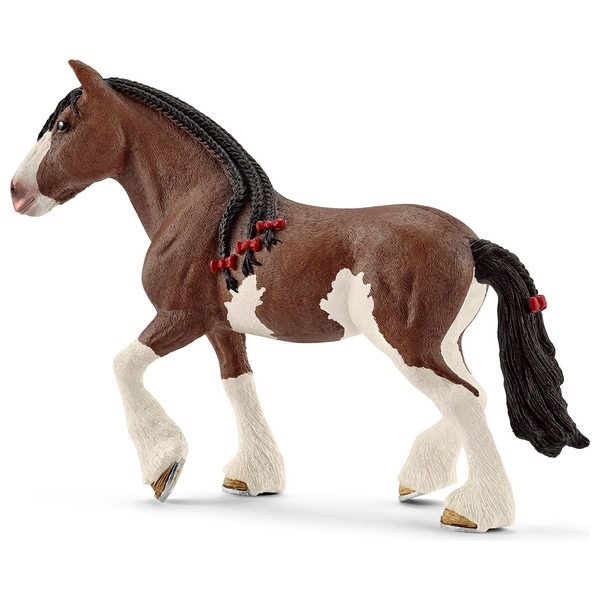 Although Clydesdales tend to be stocky and extremely heavy, they can move very elegantly. They are famous for their gait: they lift their beautiful white legs very high and with great force. For this reason, they aren’t just used as draught horses, but also for shows and street parades. Clydesdales have very big hoofs. Their horseshoes measure 5 cm from one end to the other.